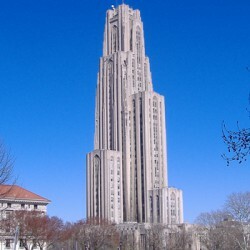 In the wake of the Orlando tragedy, Pitt affirms that it stands with and in support of our community, particularly our LGBTQIA+, Latino, and Muslim communities, all of which have been uniquely affected by the Orlando tragedy. In the aftermath of these types of tragedies, it is important that we resist the temptation to overgeneralize about cultural and religious groups. There is never justification for violence against others, particularly violence based on a person’s gender, gender identity, sexual orientation, race, or religion. As an institution of higher learning, we must continue our commitment to fostering compassion for others and unconditional respect for human rights and life. As mentioned by Chancellor Gallagher, campus resources are available to support our community. Please do not hesitate to contact the Office of Cross Cultural and Leadership Development (CCLD) or University Counseling Center, should you feel the need for support. Here are some suggestions on maintaining your emotional well-being. On Wednesday from 11 a.m. to 1 p.m., CCLD will be hosting an event in room 548 of the William Pitt Union where students, faculty, and staff from the Pitt community can bring their lunch, talk about the Orlando tragedy, and receive support in an informal environment.